Includes color graphs with symbols. 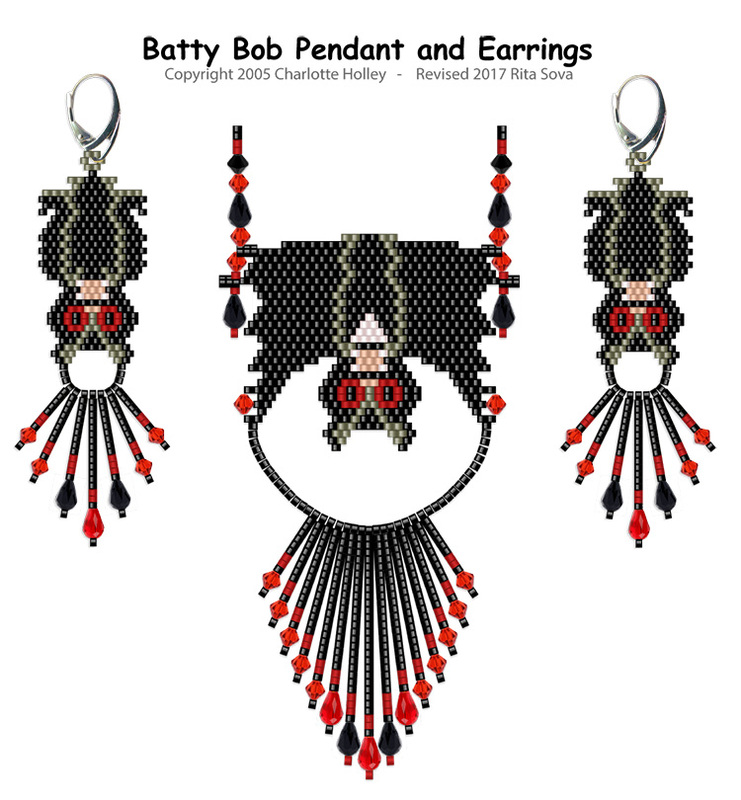 Fringe patterns for Earrings and Pendant are included. Chain design for pendant included. Approx size Pendant: 28 beads W x 30 beads H (1.96" x 1.59") panel only.